1. How I shared details about pieces in my closet: at this point most of the items are old, thrifted, etc. So I’ve linked to exact items where available, but the rest are links to similar items (both in style and price point) if you are looking for something like it to add to your closet that is a new buy. 2. What items I’ve shared. In my first all seasons capsule update I shared with you items that were in my closet + all the items that remained on my master list. I’ve decided to just share with you what I actually have in my closet and save the “wish list” items for another post. Cool beans? 66 pieces. That are interchangeable throughout the seasons. That successfully remix for office, social, farm and mom life. That make it a dream to get dressed. That I feel completely at home in. Oh, and are also nursing friendly. Yeah I’m gonna go ahead and say this is working extremely well for me! Haha! Life is good folks. Carry on. I had one for pregnancy but now I need a new one, hard to get time with a newborn. 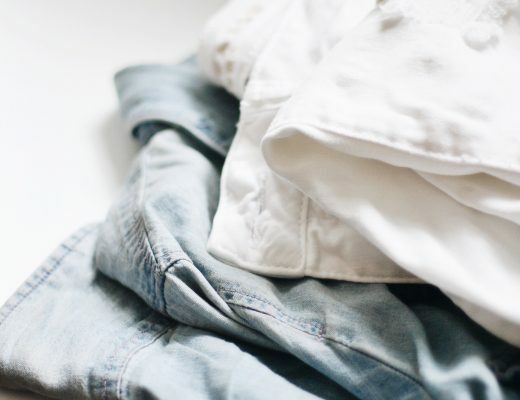 I’ve been soaking in all the capsule wardrobe buzz (project 33 and the like), and stumbled upon your blog. I looooooove the year around minimal wardrobe idea. I’ve been thinking about trying the every three month thing, but was having a hard time figuring out how to guess at those ‘transitional’ items. Plus knowing myself going through a redoing my clothes every three months would just not happen. We usually do a warm whether and cool weather switch out (so twice a year), and I think your idea would be very adaptable to that. I’d just put away my heavy coats, sweaters, and boots in the summer and put away my shorts, sandals, and tank dresses in the winter. But I mean one small box could be whatever I’m not using instead of an entirely different wardrobe. Also, unlike most of the minimal wardrobe bloggers out there I love color, but I’m finding that if I have a good base of neutrals with a few things in my favorite colors I feel colorful, but can still wear my clothes together. Big improvement from my weird collection of patterns and colors of the past few years. I’ve stumbled upon your blog and this post today and I love it! I’m moving abroad to get my Master’s degree in 3 months and I’m freaking out a bit about the fact that I can’t take a lot of stuff with me. 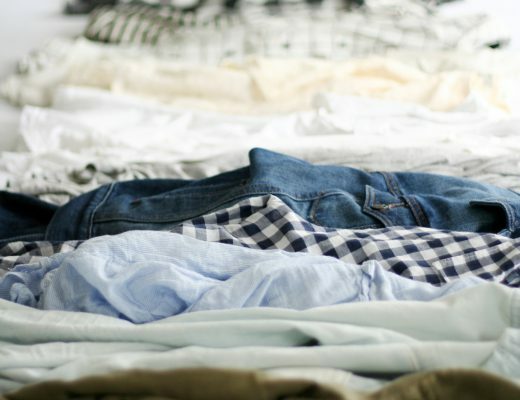 I’ve been contemplating the creation of a capsule wardrobe for a while, and this will be perfect time to do so. This is great inspiration! Oh how awesome! And yes I agree what a wonderful time to experiment with a capsule wardrobe. Good luck with everything, I hope we’ll see you more around these parts! Is that white sundress still available? Ah bummer, I just checked and it’s sold out! 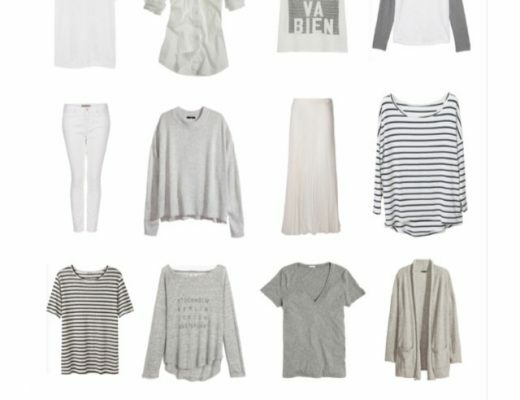 The image I used in my capsule wardrobe graphic was just sort of a generic representation of the one I have. I checked the link (below the graphic) to the actual one I have and it’s no longer available. Sorry! Hi! I run a boutique and am creating a capsule wadrobe for Fall! Would love to talk to you about your affiliate links and images! Looking for some mentorship and hoping you can help! Love your 2015 capsule! I was wondering the maker of the cognac booties you have on the cover of the wardrobe capsule with the three buckles. Their super cute!! Really? No credit to Caroline of Unfancy? This is practically an exact replica of her blog post (and you’re using her pictures). As far as the pictures go? I designed this this collage in Canva, on my own accord, using stock imagery from around the web that best represent what’s in my closet. In any case, thanks for feeling open enough to comment here on my blog! I hope you’ll stick around. Love this Laura! Exactly what I was looking for…and I’m in Ohio too! How exactly are tunics and sheaths nursing friendly? Haha, well I suppose it’s all on how you wear them right? (i.e. over pants or not) In any case I never meant that every piece (especially every dress) was to be considered nursing friendly in this post. But in my experience, some dresses are so stretchy that you can actually pull them down from the top/front and skirts paired with tops were always my favorite go-to when trying to substitute wearing a dress (which is why I included four skirts in this particular “capsule”). Hope that helps!